Flash animated banner tutorial guide you to make a flash animated banner with hyperlink for website step by step. 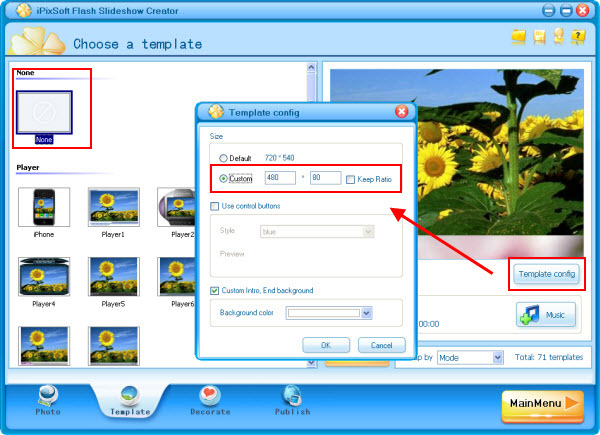 It is very easy to make it and you don't have to use Action Script or any other Adobe Flash Skills. Click here to download Flash Slideshow Creator and then install it. After launching the program, a pop-up window will guide you to start your journey. Let's click the "New" button to create a new slideshow . 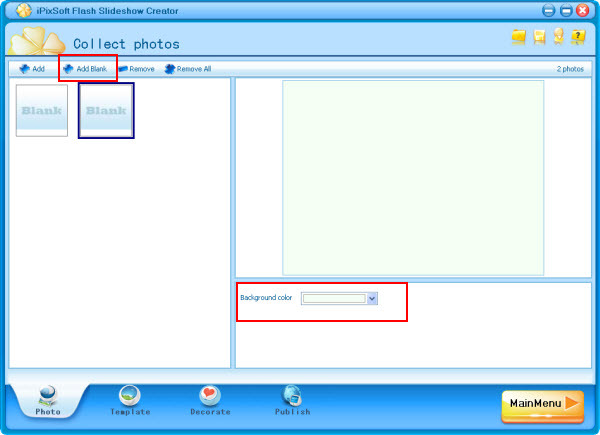 Click "Add Blank" button to add 2 blank photos and then set background color for the blank photos. First, check the box to disable "Intro and End" because we don't need them for this flash animated banner. Second, click the effect box to select from 70+ transition effects include swift and push effects or press "Del" key to delete it. Drag and drop cliparts to the banner. And then, add some texts for the flash banner. If you would like to add hyperlink,simply right click on the blank photo and select "Photo Link..." . Go to ”Publish“ pannel, set output options such as Size, Flash option, Preloader, Photo option and Loop Style before publish the flash banner. Click "Make SWF/HTML" if you have your own web hosting. 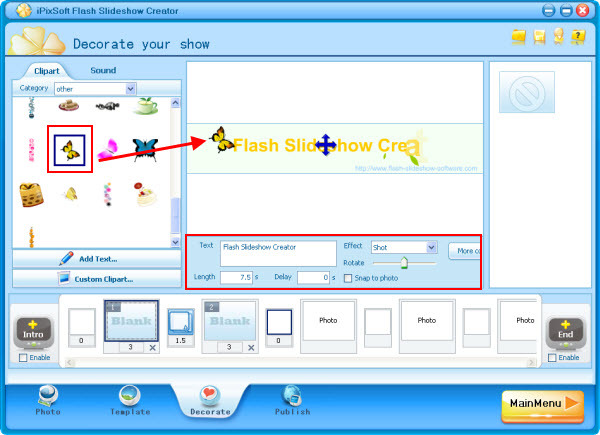 If you did not have, you can click "Share Online" button to upload flash animated banner to iPixsoft web server and get the html code. Simply embed this code to your website page, blogspot, wordpress, Myspace blog, etc.